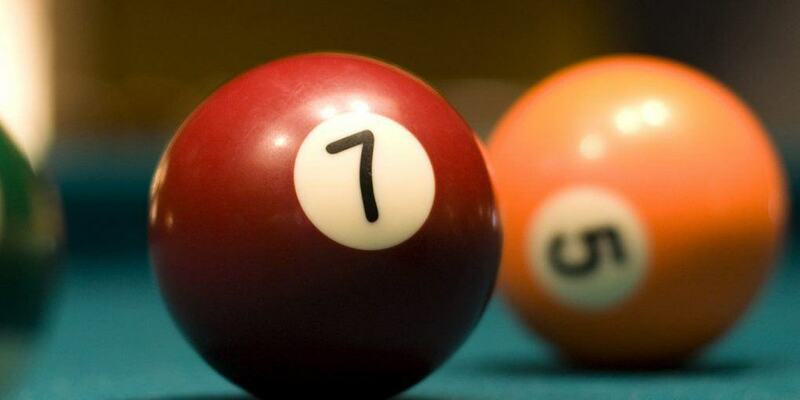 1 What is Seven Ball? Seven ball is a speedy rotational game. The average playtime is only around three minutes per game. The players shoot at the same seven object balls, permitting each participant to show skills to deliver a mix of different shots. Such as, combination and carom shots, defensive shots, and placement shots. Despite that, it is still attractive to players of moderate skill level. It is a game of “handicapping” your opponent. Participants must lower the number of pockets in which the better player can legally pocket the game winning seven ball. This photo shows the "money ball" in play. 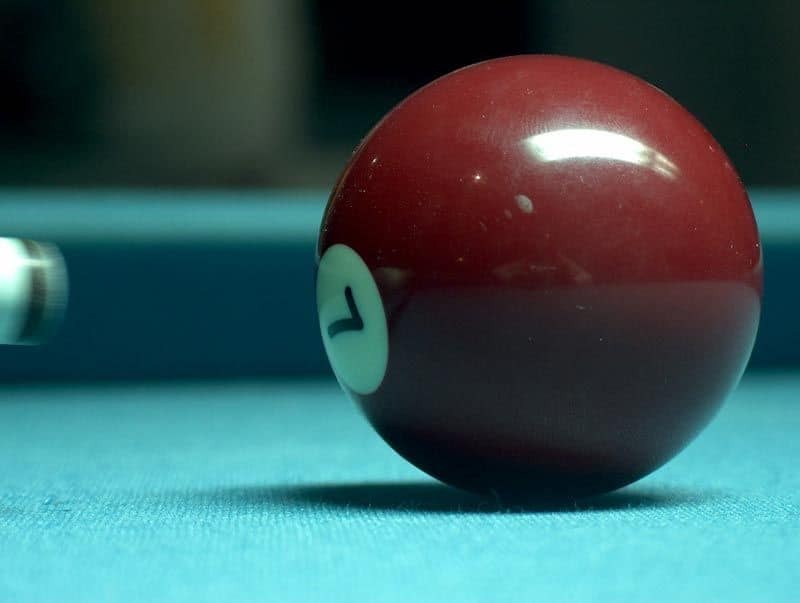 The Seven-Ball is the money ball for this specific game pool, the same way that the 8-ball and 9-ball is for their corresponding games. Photo courtesy: kaffeefee of DeviantArt. To legally pocket the 7-ball. Object balls 1 through 7 and the cue ball. 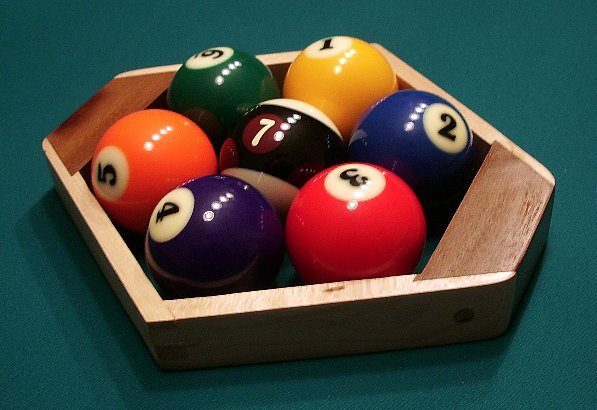 With the help of a diamond rack, the billiard balls one to seven are racked in a hexagonal arrangement. The 1-ball is at the rack’s apex, centered on the table’s foot spot. While at the rack’s center is the 7-ball. All the other remaining balls are then placed clockwise from the 1-ball. The starting player must either m﻿ake an open break﻿﻿ or ﻿﻿legally pocket an object ba﻿ll﻿﻿﻿﻿﻿﻿﻿﻿. If he/she fails to do so, the incoming player has the choice between two things. Either a foul penalty (1), or have the balls re-racked to shoot the opening break shot. In subsequent games, players alternate in performing the break shot. This photo shows how to rack pool balls for a game of 7-ball. A special diamond rack is typically used to arrange the balls. Although, the regular triangle rack may also be used if positioned sideways. The balls have no point value. The player who legally pockets the 7-ball is the winner. The incoming player has cue ball in hand behind the head string. With the object balls in position. As an exception, the ball is spotted if the lowest numbered object ball is also behind the head string. Player gets cue ball in hand anywhere on the table.